For all of the press and hype surrounding the Toyota GT 86 and the Subaru BRZ, not a lot of people know or have given love to the third model of the bunch, the Scion FR-S.
All that’s about to change because the Scion FR-S has arrived. For those that have shed rivers of tears when they found out that neither the GT 86 nor the BRZ were headed Stateside, news that the FR-S will arrive in America is tantamount to a post Thanksgiving blessing. 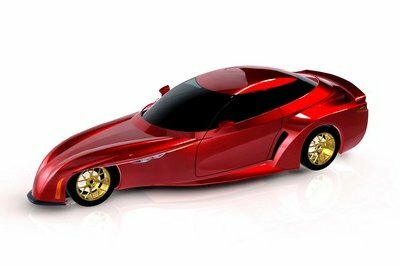 Now, we’ve actually seen a concept version of the FR-S - called the FR-S Concept - at the New York Auto Show, so it really didn’t come as a surprise to a lot of us that the sports coupe was coming to the US, but seeing the concept and seeing the production version are two different things. It doesn’t even matter that we’re not getting the GT 86 and the BRZ. We have the FR-S, and just like a child that comes to us, we’re going to shower it with as much love as we can possibly give. Updated 05/15/2015: Scion today announced prices and updates for the 2015 FR-S sports car set to go on sale just in time for summer. Updates for the 2015 model year include: a more rigid front suspension and re-tuning of the rear shock absorbers, larger exhaust tips and for the interior an updated panel with a carbon fiber look. The model will also get auto on/off headlights. Prices for the 2015 FR-S will start from $24,900 for the six-speed manual version and $26,000 for the six-speed automatic one. 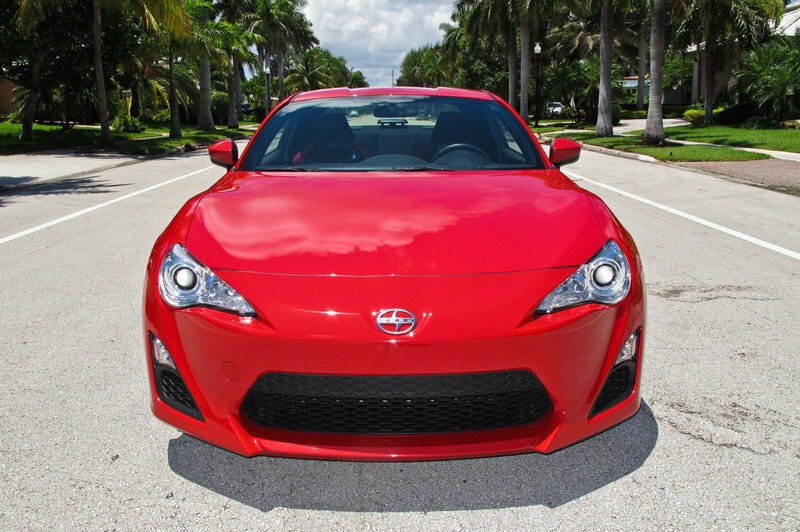 Find out more about the Scion FR-S after the jump. Subaru Building an FA20 Engine with a Turbocharger; is it for the BRZ? Since it was a concept, Scion was able to play around with the design of the FR-S Concept a little bit more. The production version, on the other hand, appears to have been designed more conservatively, albeit still carrying a sharp and clean design that’s a far departure from what we’re used to with Scion. In addition to tracing its lineage to the AE86 generation of the Toyota Corolla, the production FR-S’ profile was inspired by the Toyota 2000GT, and distinguishes itself with a sleek and low hood and roof-line that enhance the coupe’s sporty and aggressive stance while also providing aerodynamic efficiency. The sharp lines, wide mouth, and angular headlights of the FR-S are likewise a testament to the car’s personality, as are the aggressive front fenders that protrude upward. Meanwhile, the rear end fascia lies low and wide to the ground, complete with aerodynamic lower treatments that surround the sporty dual exhaust system. 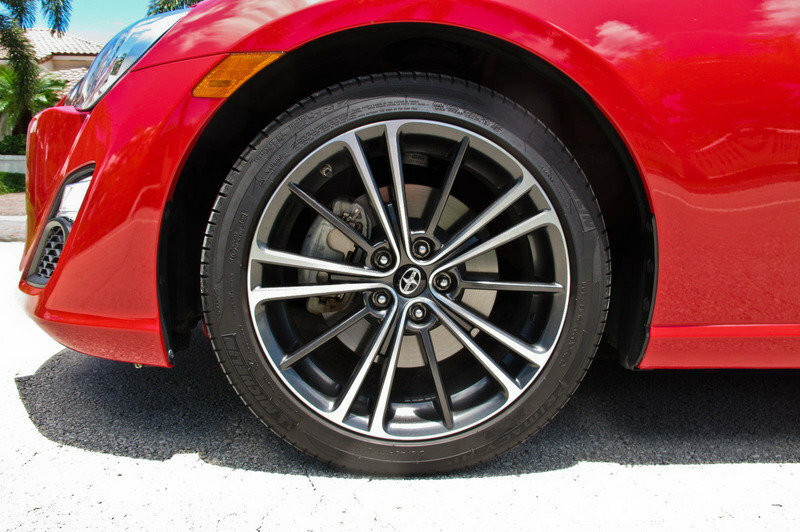 Just like the 86 and the BRZ, the FR-S also boasts of LED lights that illuminate the edges of the taillights, and a new set of 17" lightweight alloy wheels round out the muscular look of the sports coupe. 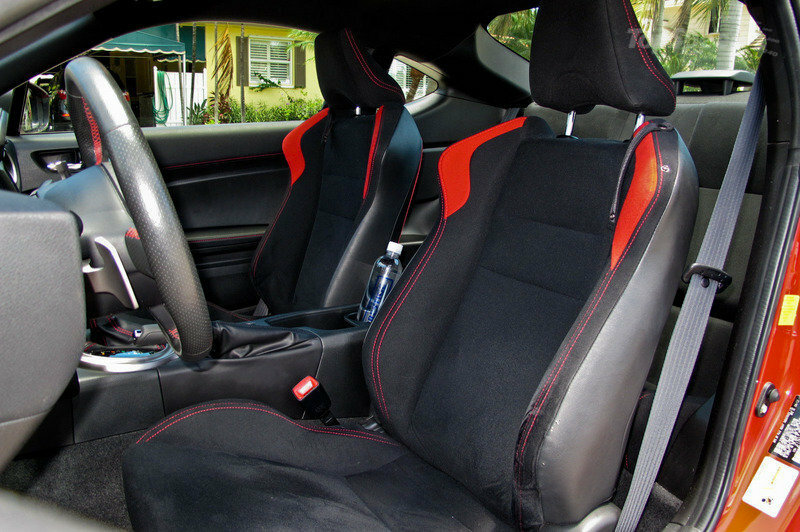 As for the interior, the FR-S was designed with a 2+2 seating configuration that was developed to adhere to the car’s overall form and function. Just like the exterior details on the car, the front seats are mounted lower than usual, yet are still comfortable enough to encourage aggressive driving. The two rear seats can be folded, offering up more space for luggage to be stowed. 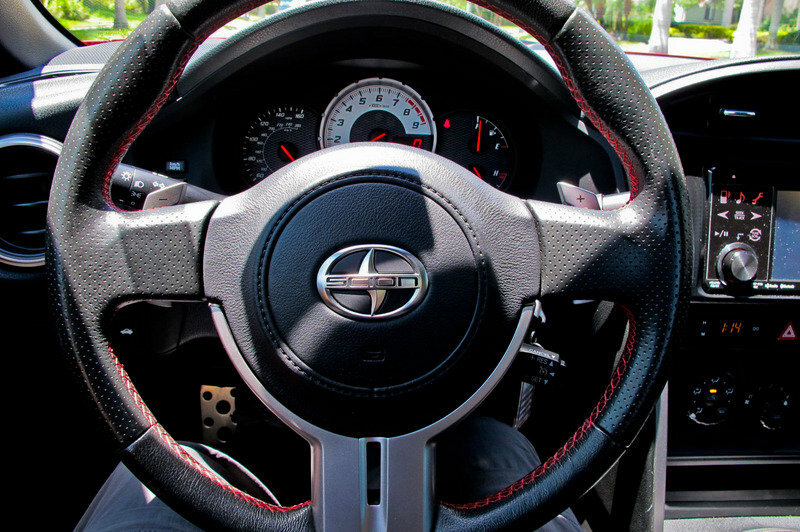 The FR-S also has a large center-mounted tachometer with a three-gauge cluster. 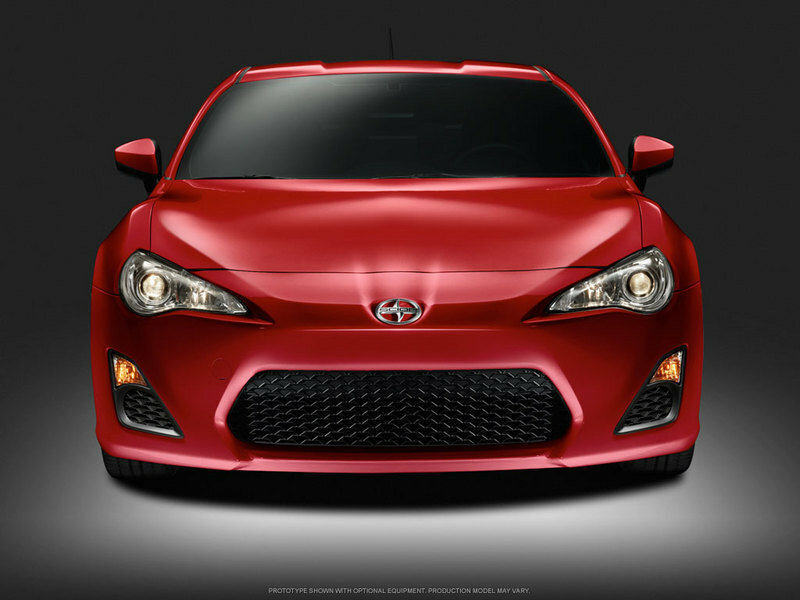 The Scion FR-S is powered by a 2.0-liter front boxer engine that can also be found on the 86 and the BRZ. 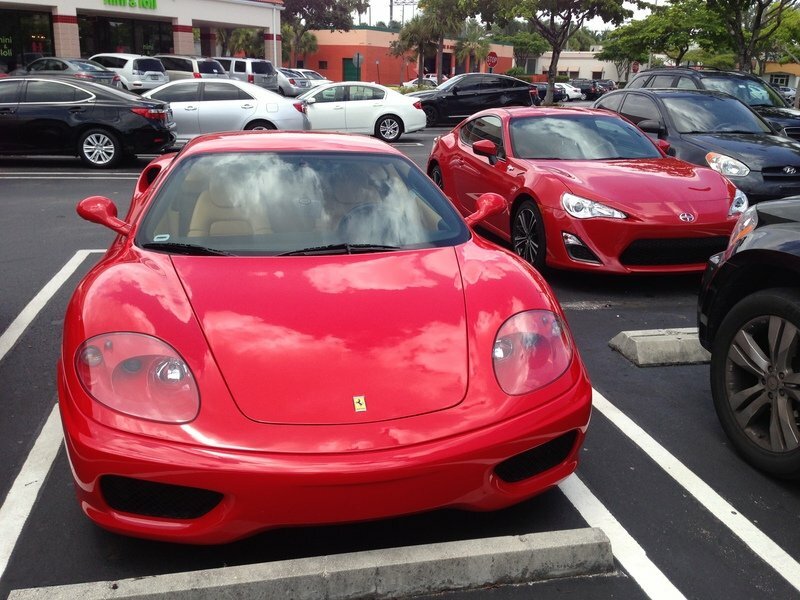 The engine can then be mated to either a six-speed manual or a six-speed automatic transmission. Output numbers are also the same at 200 horsepower and 151 lb/ft of torque. 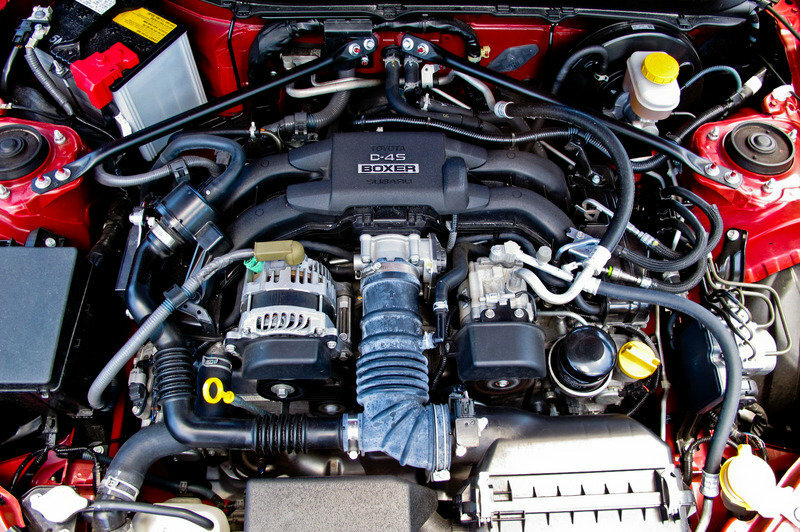 What’s unique about this new powertrain is that it carries Toyota’s new D-4S injection system, a technology that results in direct injection combined with port injection. With separate twin injectors for both direct and port injection, and a high compression ratio of 12.5:1, the D-4S system can increase the power and torque bands of the FR-S over a wide range of engine speeds, all without having to sacrifice the sports coupe’s fuel efficiency numbers. We now have a price tag, ladies and gentlemen! The Scion FR-S will cost you $24,930, including $730 in destination charges, for the six-speed, short-throw manual transmission. If you prefer an automatic a six-speed, paddle-shifted transmission with rev-match technology, the cost reaches $26,030 inclusive of destination charges. To a lot of North Americans, this conversation is rendered moot because two of the three models aren’t even coming to our soil. 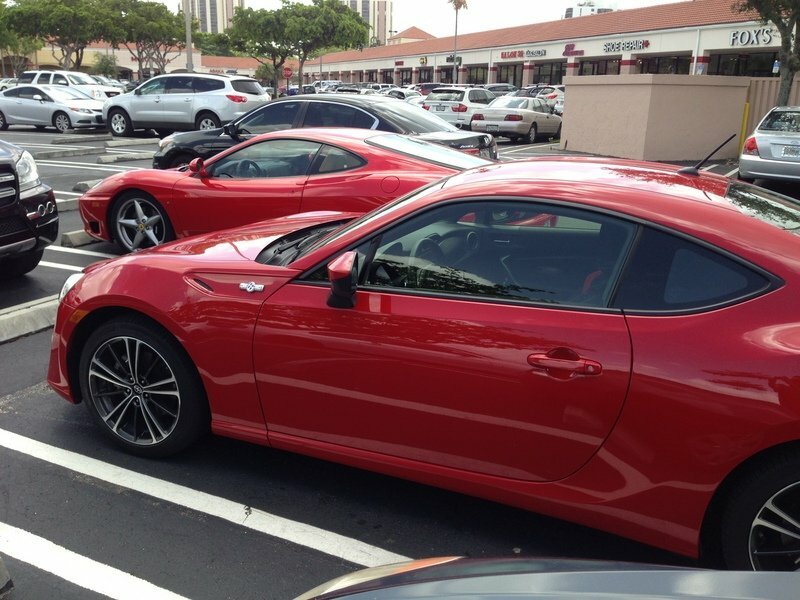 So by default, the Scion FR-S wins. 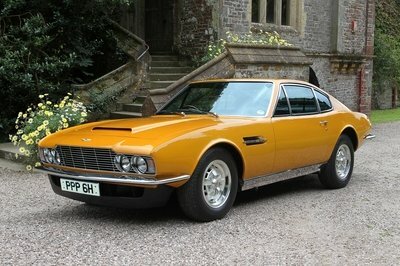 But when you really take account the whole sibling rivalry, engine specs are also a wash, considering that all three carry the same power train. Where the FR-S falls short is in the higher-spec model, which Toyota and Subaru are promising with the GT 86 and BRZ, respectively. 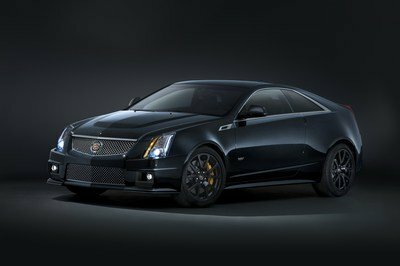 What this means is that both models will most likely have a higher-output version that could potentially carry as much as 300 horsepower. 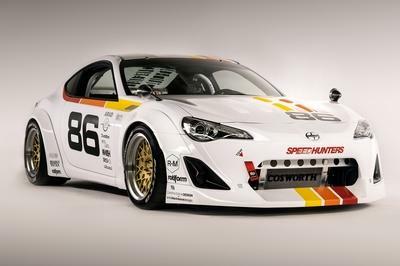 We haven’t heard that kind of discussion with the FR-S so we’ll be holding our breaths to see what Scion has in store for their model. Will it have a higher-spec variant? 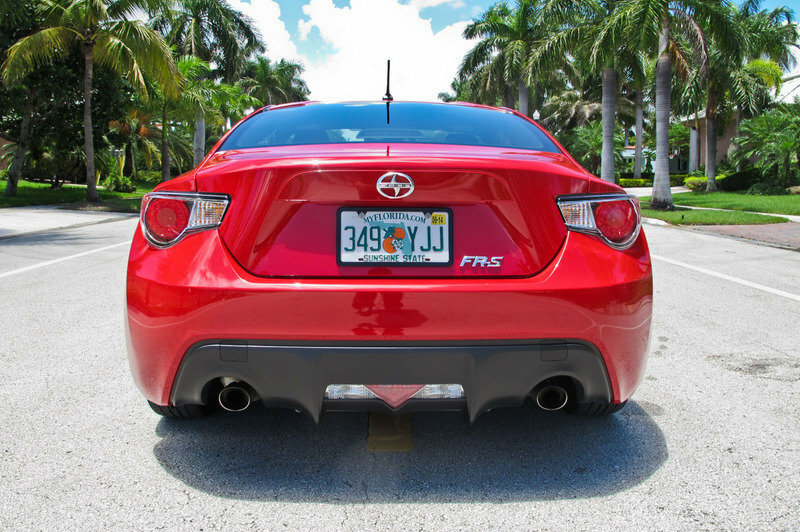 Everybody wants to look and feel their best for summer and the 2015 Scion FR-S is no exception. 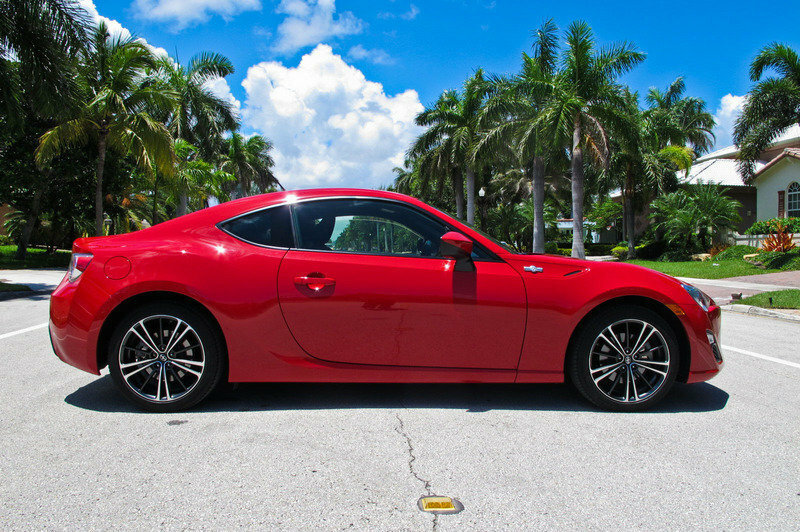 The new model year FR-S features enhanced tuning and improved looks while the 2015 tC sports coupe receives new colors and a sporty feature to bring on the summer fun. 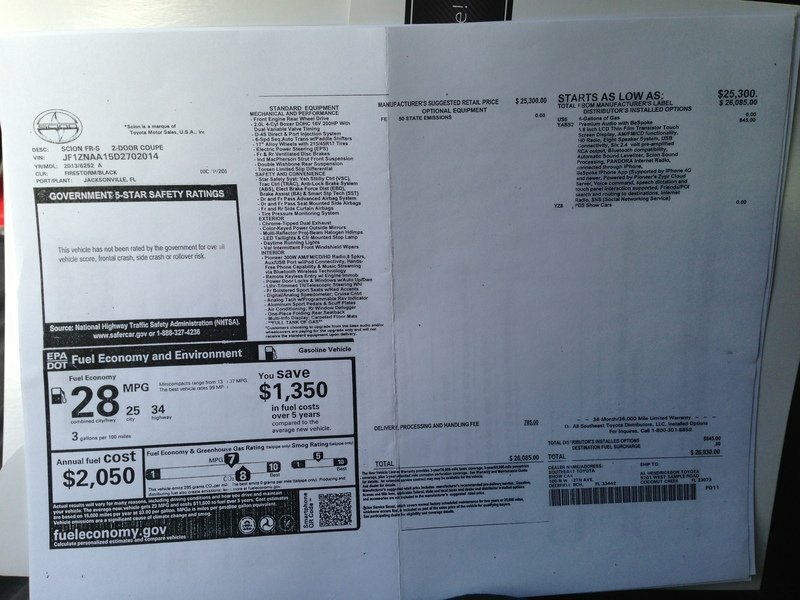 Both models will go on sale in early June with new manufacturer’s suggested retail prices (MSRP). For better aerodynamics, the smooth look of a shark-fin antenna replaces the pole antenna found in previous models. 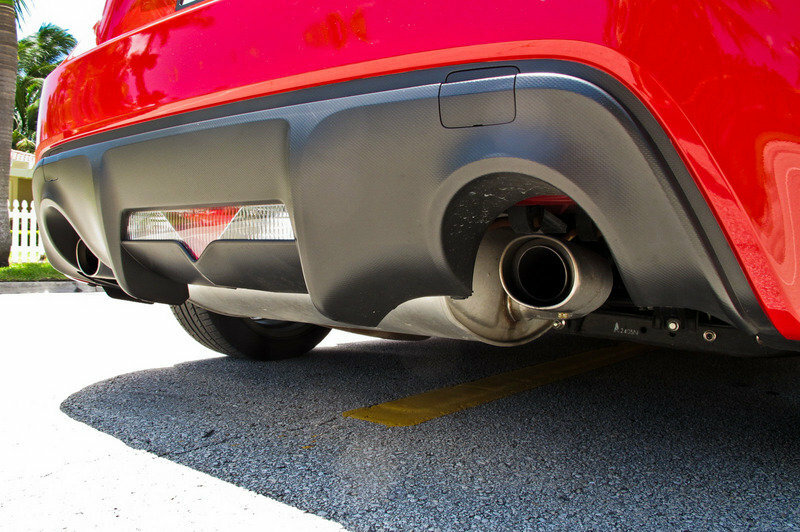 The exhaust tips are now larger and more flush with the rear bumper. 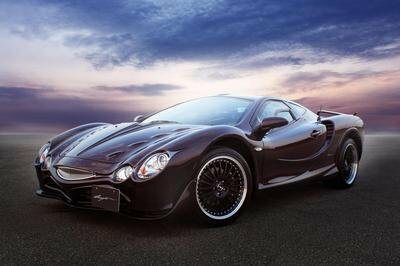 Inside the vehicle, drivers will notice the addition of auto on/off headlights and an updated interior panel with a carbon fiber look, as well as a new key design. 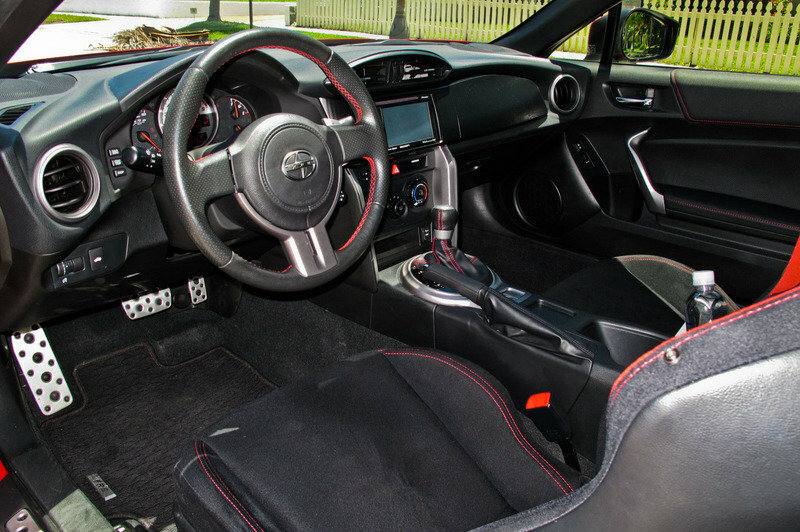 The 2015 Scion FR-S MSRP is $24,900 with a six-speed manual transmission or $26,000 with a six-speed automatic transmission with paddle shifters and Dynamic Rev Management® technology. Steel replaces Argento as a sleek silver color and Whiteout has been replaced by Halo, a pearl white available for an additional $395 fee.